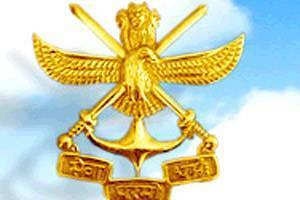 The UPSC NDA exam is conducted to recruit candidates in the Army, Navy and Air Force. This exam is conducted two times a year, i.e. NDA I and NDA II. It is a two tier examination, after qualifying the written test candidates will also have to clear the SSB interview round. A candidate must either be (i) a citizen of India, or ii) a subject of Bhutan, or (iii) a subject of Nepal, or (iv) a Tibetan refugee who came over to India before the 01st January 1962 with the intention of permanently settling in India, or (v) a person of Indian origin who has migrated from Pakistan, Burma, Sri Lanka and East African Countries of Kenya, Uganda, the United Republic of Tanzania, Zambia, Malawi, Zaire, and Ethiopia or Vietnam with the intention of permanently settling in India. Provided that a candidate belonging to categories (ii), (iii), (iv) and (v) above shall be a person in whose favor a certificate of eligibility has been issued by the Govt. of India. Certificate of eligibility will not, however, be necessary in the case of candidates who are Gorkha subjects of Nepal. The subjects of the written examination, the time allowed and the maximum marks allotted to each subject will be as follows. Subject Maximum Marks Mathematics 300 General Ability Test 600 Total Marks 900 SSB Test/Interview 900 Grand Total 1800 The papers in all the subjects will consist of objective type questions only. The Question papers of Mathematics and Part B of general ability tests will be set Bilingually in HINDI as well as ENGLISH. There will be Negative Marking for Wrong Answers marked by a candidate in objective type question papers. UPSC has provided the NDA 2019 application form through online mode. The application form has been released from 9th January. The registration form comprises of two parts, i.e. Part I and Part II. Candidates have to provide their general details in Part I. In Part II, candidates have to select their exam, pay the application fee and upload the scanned images of photograph and signature. The images should be in JPG format with photograph (3KB – 40KB) and signature (1KB – 40KB) size. No correction facility provided after the final submission of the UPSC NDA application form. Candidates have to pay the application fee through debit/credit card and SBI net banking and through challan of SBI bank. The application fee is Rs. 100/-. SC/ST candidates, Sons of JCOs, NCOs & Ors are exempted from the payment of application fee. NDA preparation schedule must be well-planned and organized. Use Smart Strategies and Prepare for the exam as per the syllabus. 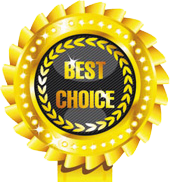 Include the best preparation books and earlier years question papers in your study materials. To clear NDA exam only written test is not the key you should be physically and mentally fit to clear the selection process (SSB). Solve previous year question papers it will help you to know more about the exam pattern. Make short notes while studying and revise them at the end time of preparations. Candidates who will be shortlisted after qualifying the written test have to go through the SSB interview round. The NDA SSB interview will comprise of two stages, i.e. stage 1 and stage 2. In stage 1, candidates will have to clear the OIR (Officer Intelligence Rating) and PP & DT (Picture Perception & Description Test). Candidates will be selected for stage 2 on the basis of candidate’s performance in the OIR and PP & DT tests. Interview, Group Testing Officer Tasks, Psychology Tests and the Conference will be conducted in the second stage. SSB interview round will be conducted over four to five days. After being recommended at the SSB, candidates will have to go through the medical examination round. NDA (I) 2019 Admit Card will be released in the last week of March 2019. 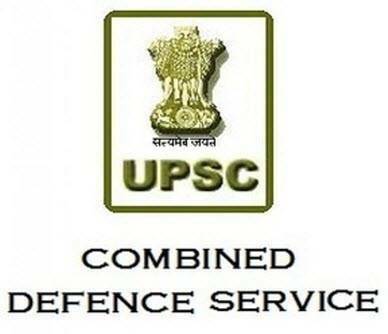 Candidates can get the UPSC NDA admit card 2019 via online mode only. It will be available on the official website. Candidates can download it by entering their “Registration ID” & “Roll number”. Candidates should bring a valid admit card at the examination hall. National Defence Academy: 342 (208 for Army, 42 for Navy and 92 for Air Force) Naval Academy (10+2 Cadet Entry Scheme): 50 Total Vacancies: 392 Vacancies are provisional and may be changed depending on the availability of training capacity of National Defence Academy and Indian Naval Academy. Candidates must be physically fit according to physical standards for admission to National Defence Academy and Naval Academy Exam (I) 2019 as per guidelines are given in Appendix-IV. A candidate who has resigned or withdrawn on disciplinary grounds from any of the training academies of Armed Forces is not eligible to apply. Only unmarried male candidates born not earlier than 02nd July 2000 and not later than 01st July 2003 are eligible. The date of birth accepted by the Commission is that entered in the Matriculation or Secondary School Leaving Certificate or in a certificate recognised by an Indian University as equivalent to Matriculation or in an extract from a Register of Matriculates maintained by a University which must be certified by the proper authority of the University or in the Secondary School Exam or an equivalent exam certificate. These certificates are required to be submitted only after the declaration of the result of the written part of the exam. No other document relating to age like horoscopes, affidavits, birth extracts from Municipal Corporation, service records and the like will be accepted. 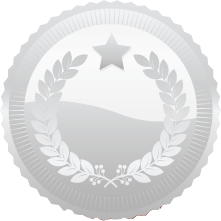 The expression Matriculation/ Secondary School Exam Certificate in this part of the instruction includes the alternative certificates mentioned above.